Tough and secure yet handsome and comfortable style comes in the SKECHERS Work Relaxed Fit®: Burgin - Glennert Comp Toe boot. 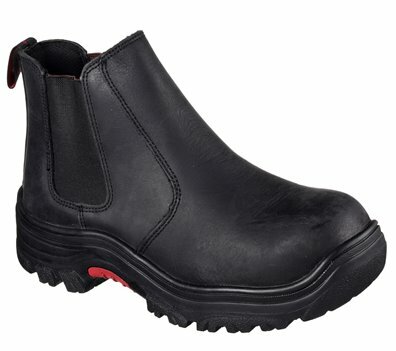 Smooth oiled leather upper in a slip on ankle height composite toe work boot design. Gel Infused Memory Foam insole.